Aug. 27, 2015 — What was it like working in New Orleans and the surrounding area in the wake of Hurricane Katrina, one of the most devastating natural disasters to hit U.S. shores? 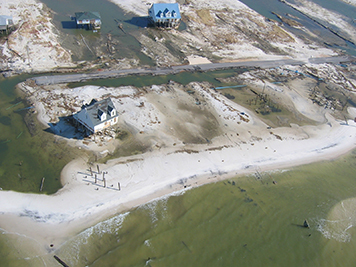 In this podcast, we talk with Charlie Henry and Dave Wesley, two pollution responders from NOAA's Office of Response and Restoration who were working in the area in the aftermath of not just one massive hurricane, but two, as Hurricane Rita swept across the Gulf Coast just a few short weeks later. Hear about their experiences responding to these storms, find out which memories stand out the most for them, and reflect on the toll of working in a disaster zone: Listen to the podcast and read the transcript.